In a small town in western Nigeria, four young brothers - the youngest is nine, the oldest fifteen - use their strict father's absence from home to go fishing at a forbidden local river. They encounter a dangerous local madman who predicts that the oldest brother will be killed by another. This prophecy breaks their strong bond and unleashes a tragic chain of events of almost mythic proportions. Passionate and bold, The Fishermen is a breathtakingly beautiful novel firmly rooted in the best of African storytelling. 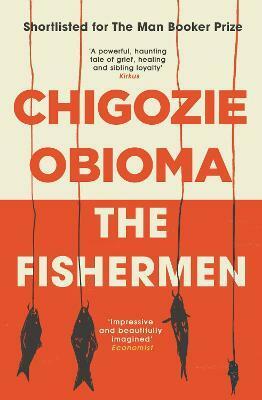 With this powerful debut, Chigozie Obioma emerges as one of the most original new voices of modern African literature. Chigozie Obioma was born in 1986 in Akure, Nigeria, and currently lives in the United States. He graduated from the University of Michigan with an MFA in Creative Writing, and is now an assistant professor of Literature and Creative Writing at the University of Nebraska-Lincoln. The Fishermen is his first novel.